An accurate description of Tom Verlaine’s career would read much like a thesaurus entry for influential. He has truly shaped the sound of modern music, from his early days with the Neon Boys and Television, throughout his solo career, and most recently as the guitarist in Patti Smith’s band. Always ahead of the curve, Tom’s influence is immeasurable throughout the rock world with bands as diverse as The Strokes and Dos claiming him as an influence. No one, however, has been able to replicate his sounds, from delicate lace-like details to soaring and singing lines. It’s hard to describe without a slew of superlatives. Anyhow, Tom would much rather talk about the new stuff. 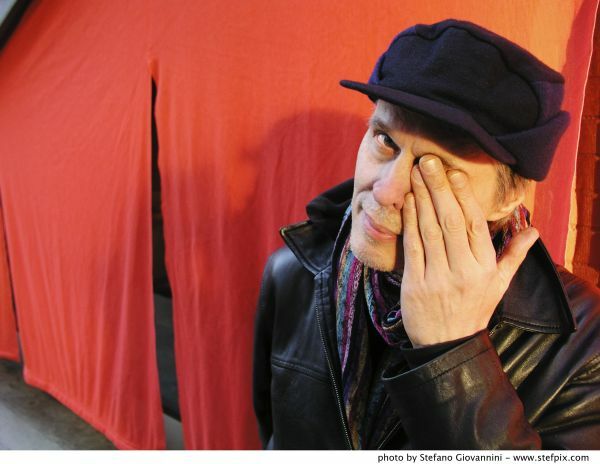 Thrill Jockey’s simultaneous release of around and songs and other things this spring will be the first new releases by Tom Verlaine since Warm and Cool in 1992. around continues where Warm and Cool left off, using many of the same musicians. Billy Ficca’s mostly-improvised drumming shares the spotlight with Verlaine’s guitar, whose varied tones move effortlessly from melody to rhythm and are at once panoramic, pastoral and atmospheric. The influence of Verlaine’s love of jazz saxophone is manifested in sustained single-note melodies and his expert finesse is rousing. songs and other things is Tom Verlaine’s first vocal release since The Wonder in 1990. The return of his cool vibrato weaving in and out of his guitar lines is exciting. For this new vocal release, Verlaine recorded with a variety of friends including Television bassist Fred Smith. He wrote all the songs, played all the guitars and even spent some time on bass. In the past year Tom has been touring with Patti Smith and playing select shows with Television. He is putting together a band that he will debut in his beloved hometown of New York City in late April/early May. He will be embarking on a world tour this spring, his first in over a decade.